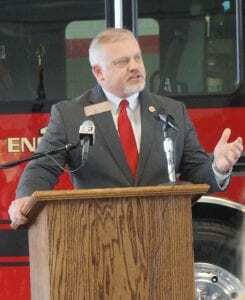 Shortly after the incident involving a wreck of a Tour Bus and a Semi-Truck on Highway 515 in Gilmer County, Tony Pritchett, Director of Public Safety for Gilmer County, held a conference to answer questions. 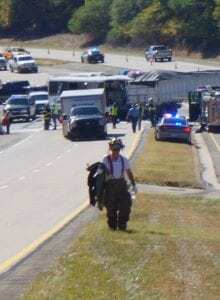 Director Pritchett stated a call came in to Gilmer County 911 at 11:02 for response to the accident. When FYN arrived on the scene, several helicopters were still circling the area including both news choppers and Life-Flight services. The accident is suspected at this time by authorities to have occurred while a tour bus was traveling north on Highway 515 collided with a Semi-Truck who was crossing into or across the highway from Whitestone Road. 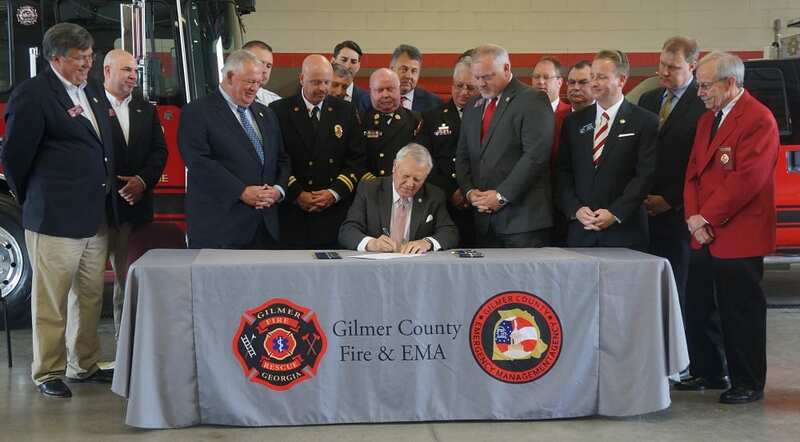 Minutes after the call came in, emergency response was on the scene to provide care and Gilmer County also responded with its Mass Casualties Trailer to aid in on-scene triage. 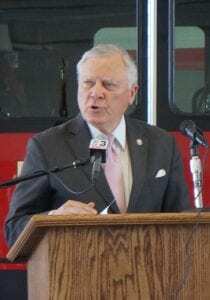 Pritchett confirmed one fatality in the wreck belonging to the driver of the Tour bus. 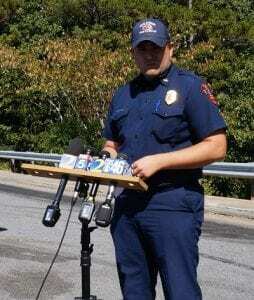 While four people remained uninjured, another 43 have sustained injuries requiring one to be Life-Flighted and others transported via ambulance to local hospitals including Fannin Regional Hospital, Northside Cherokee Hospital, and Piedmont Mountainside Hospital according to Pritchett. FYN has been informed that the tour bus was carrying a majority of elderly passengers and had sustained extensive damage collapsing the front end. However, the quick response units were able to arrive and get on the bus quickly to begin caring for those on board. While the limited sight distance at the location was referenced as a possible factor with the incident, no official statement was given with regards to cause or circumstance involved in the incident as the investigation is ongoing. 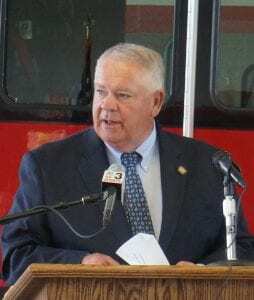 Director Pritchett did confirm with FYN that he could recall at least one other incident involving a fatality occurring at the same location earlier this year. Witnesses have also been confirmed on scene and are speaking with officials at this time. 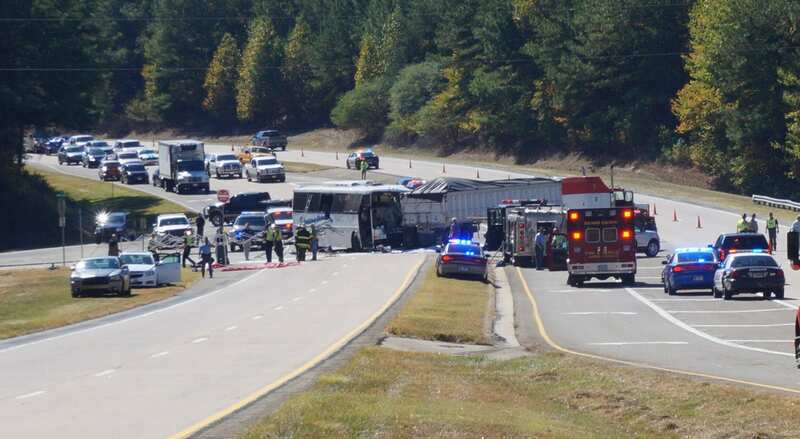 Currently, 515 will remain shutdown as a continuing investigation will be undertaken by the Georgia State Patrol and authorities are redirecting traffic around the accident. One traffic officer FYN talked with suggested those heading North on 515 to detour down Highway 136 to Old 5 to bypass it. For more information on the accident and the Press Conference watch the video below and stay connected with Fetch Your News as more information becomes available. « Previous Article Things Need to Change!